City mayor Firhad Hakim on Sunday stepped into the parking fee hike row, making it clear that the KMC will first explore alternatives to increase revenue, including bringing more areas under the ambit of “fee parking zones”, working out a more viable revenue-sharing model with private parking agencies and working out a dual-fee scheme where parking lots around commercial establishments will be charged more. The KMC waded into trouble after it uploaded a new parking fee structure for 2019-2020 on its website, which doubles the fees for four-wheelers to Rs 20 per hour from 7am to 10pm in all its 135 designated parking places. Hakim said he had spoken to MMiC (parking) Debasish Kumar after learning that parking lot attendants were charging the revised fees, leading to a lot of confusion. “We need to explore alternatives first. A fee hike, if at all, can only be the last resort. Such a proposal needs to be taken only after taking everyone in confidence and needs to be ratified by the house. I have spoken to the MMiC in this regard,” he said. According to the proposal, the KMC plans to substantially increase the 135 parking lots across the city to enable them to garner more revenue. “This will be worked out with the Kolkata traffic police,” an official said. The KMC has identified several stretches, he added. According to a KMC car parking department official, the co-operative agencies are often late in sharing revenue with the civic body though they have no dearth of business. “We need to broaden our collection network to mop up more revenue. 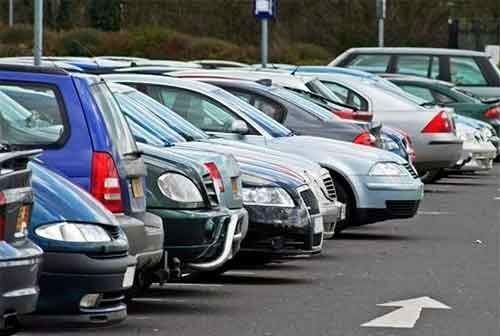 Co-operative agencies manning city’s parking lots should be made to pay our share of revenue regularly. After that, we may review the fee structure,” Hakim told TOI. The rate-change proposal has not been decided yet, said Kumar, adding that no motorist will be charged a hike till KMC announced a revised price. “Once new rates are formalized, they will be notified and announced. Parking boards will also be altered before the revised fee is charged,” he added. Due to the confusion, some people had to pay Rs 20 per hour on Sunday. KMC officials said they will inquire into into the matter.